Log into your Volusion Control Panel. In the Control Panel, click "Design" in the top navigation bar and click "Site Content" in the dropdown box that appears. In the "Update Article" panel, scroll down to the "130 OrderFinished.asp" row and click the "130" link. In the "Article Management | 130" panel, copy and paste the ReferralCandy tracking code from Step 2 into the "Article Body" input box. 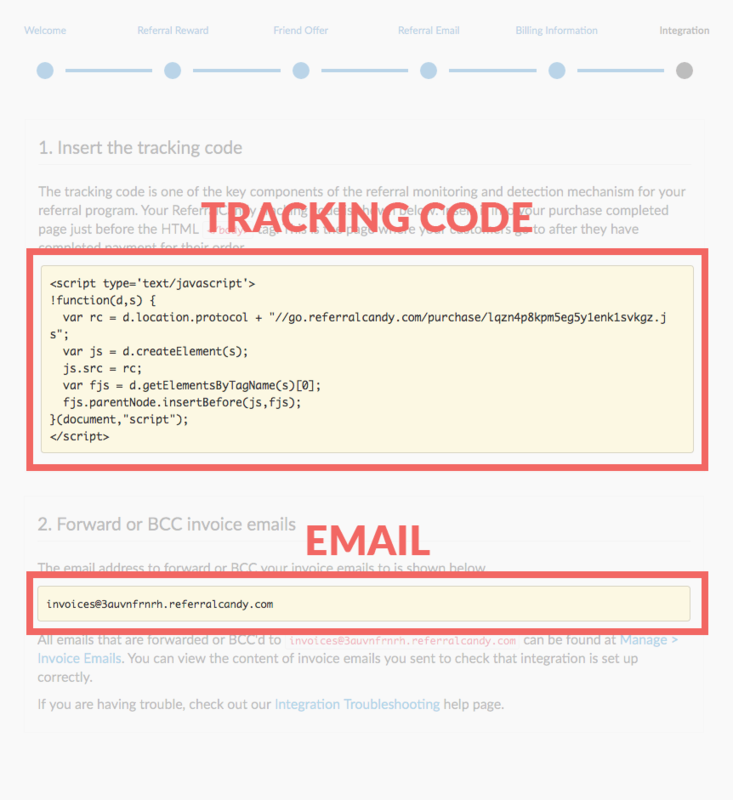 Note: Before you paste the tracking code into the input box, make sure that the '</>' button is depressed (it should look like how it looks in the image below). Click the "Save" button that pops up at the bottom to save the changes. In your store's Control Panel, click "Settings" in the top navigation bar and click "Company" in the dropdown box that appears. In the Company Information panel, click the "More" link in the "Email" row to open a blue panel below. 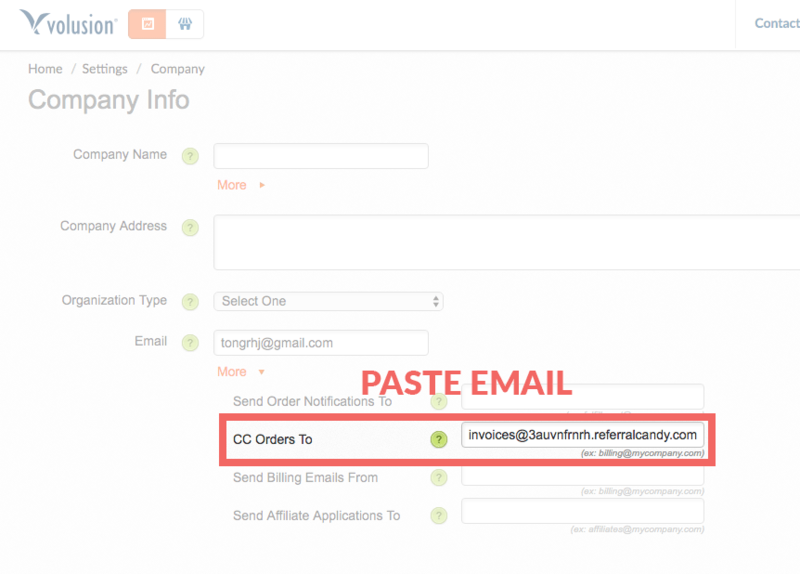 Copy and paste the ReferralCandy email address from Step 2 into the input box in the "CC Orders To" row. Click the "Save" button below to save the changes.